BMW, GM, Renault, and Ford have struck an agreement to form the Mobility Open Blockchain Initiative (MOBI), a consortium that will explore the use of blockchain technologies in the automotive and mobility industries, CoinDesk reports. These carmakers also brought on board professional services giant Accenture, technology vendor IBM, auto suppliers Bosch and ZF, and blockchain industry groups like Consensys and Hyperledger. The group aims to craft common standards and application programming interfaces (APIs) in addition to exploring blockchain use cases. Chris Ballinger, a longtime auto industry veteran and former head of the Toyota Research Institute, will lead the consortium. Transmitting vehicle usage, diagnostic, and maintenance records between insurers, automakers, dealers, and car owners. Blockchain could potentially securely, quickly, and efficiently transfer vehicle usage and diagnostic data between all of these parties, a process that currently is challenging, if not impossible. In turn, this could allow automakers to improve their cars' systems, give insurers better data to feed into their premium pricing models, and help dealers enhance repair practices. Vehicle-to-everything (V2E) communication. The steady rise in the number of connected cars on the roads, as well as investments designed to add connectivity to city infrastructure, present an opportunity for cars and city infrastructure to transmit information on traffic flows and potential accidents to each other. From there, cars could route around accidents or areas of heavy traffic. However, connected cars still comprise a minority of all vehicles on the road, especially outside major metro areas, meaning blockchain's potential use in V2E communication will remain limited, for now. Carmakers could also explore using blockchain in their own supply chains to help manage the relationships they have with suppliers. Large auto companies have huge numbers of suppliers — GM, for instance, has over 1,000 suppliers. Given blockchain's potential in the logistics industry, it's only logical that carmakers and suppliers also explore the technology to help manage cars, parts, and orders as they move through their own supply chains. 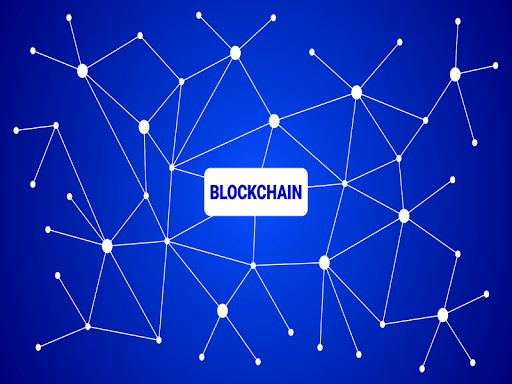 Blockchain's use in the automotive sector is still in very early days, but the consortium's efforts should at least pique the interest of the rest of the industry. MOBI is arguably the largest, most prominent blockchain exploration effort in the automotive and mobility industries thus far. As such, other automakers and observers throughout the industry will be watching the consortium's progress closely, and could even launch similar efforts in the not-too-distant future.